This organic cotton dress for babies features an adorable mushroom print, a snap closure at the back neck, and a high waist. 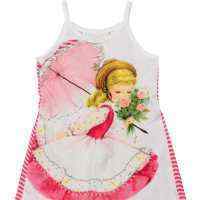 This cute and fun sleeveless green and red baby and toddler girl dress features certified organic cotton. 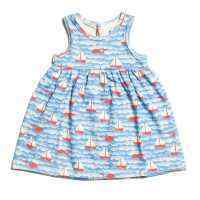 The organic cotton in this cute eco friendly baby wear dress is grown without chemicals so it is gentle on baby's delicate skin. The fabric in our organic cotton baby clothing is also softer than cotton grown with chemical fertilizers. 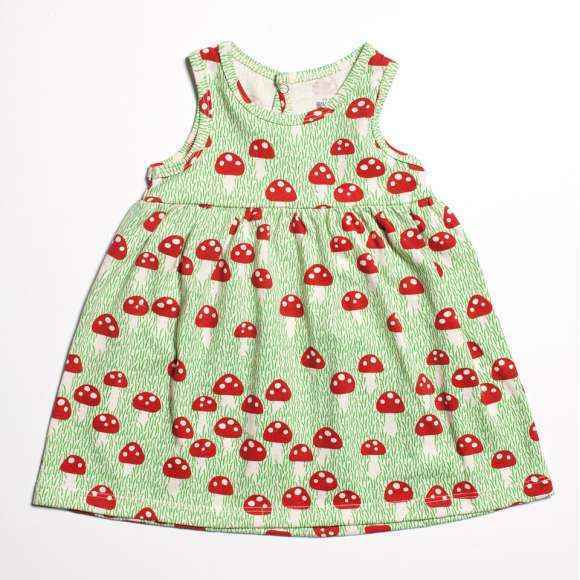 This organic infant dress and the cute mushroom print fabric were made in the U.S.A. The fabric in this dress features nontoxic water-based inks. 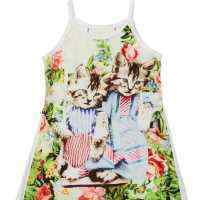 Be prepared to receive lots of compliments on this unique earth friendly baby girl dress. 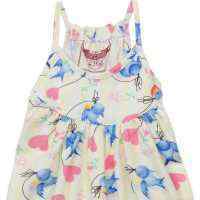 This soft and comfortable organic cotton baby dress is perfect for Easter, parties, and for every day wear. Why settle for baby clothes that take a lot of maintenance? 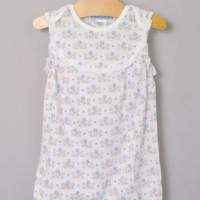 This easy care knit organic cotton infant dress is naturally wrinkle resistant and comes out of the dryer ready to wear. 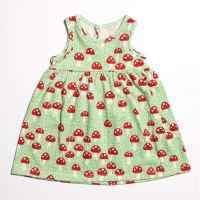 This organic cotton dress for babies makes a cute and fun green baby girl gift or birthday present.